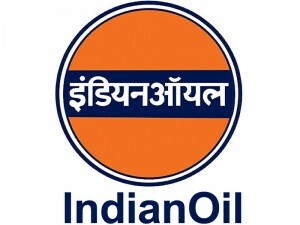 Indian Oil Corporation Limited (IOCL) has announced recruitment for the post of Marketing and Human Resource Management professionals through UGC NET December 2014. IOCL is looking for energetic and dedicated Post Graduates in Marketing and Human Resource Management for recruitment of the post of Officers – Selection based on University Grant Commission –National Eligibility Test (UGC-NET) Examination December 2014. The eligible candidates can apply for the post through prescribed format before November 15, 2014. Indian Oil Corporation Limited is a transnational energy major and the highest ranked Indian company in the Fortune’s prestigious Global 500 list. IOCL operates one of Asia’s largest networks of Refineries, Pipelines, Marketing and Petrochemicals business. Empowered with ‘Maharatna’ status, we are nurturing our vision to emerge as ‘The Energy of India’. Candidates for Marketing Management– Two year full-time regular course leading to Post Graduate Diploma (PGDM)/Masters Degree in Business Administration (MBA) or equivalent with specialization in Marketing Management from a recognized Indian University/Institute. Candidates for Human Resource Management– Two year full-time regular course leading to Post Graduate Diploma/Masters Degree in Human Resource Management/Personnel Management/Industrial Relations/Labour Welfare/Social Work with specialization in Personnel Management & Labour Welfare or equivalent qualification from a recognized Indian University/Institute. For both the positions, subjects in the specialization required should have been part of the examination cleared and find mention in the final mark-sheet/degree certificate or the specialization should be certified by the concerned University/Institute attended/ attending by the candidates. In absence of the above, Indian Oil shall be at liberty to decide the specialization based on the courses opted by the candidates during their post graduation study of the qualifying course Minimum % of Marks in Qualifying Degree Exam. Age Limit as on 30th June 2015 should be a maximum of 30 years for candidates belonging to General category, who have completed degree in Engineering (BE/B.Tech or equivalent) prior to pursuing their post graduate studies in Business Administration/Human Resource Management. For other candidates (other than Engineering at Graduation level) belonging to the General category, the maximum permissible age will be 26 years. The selection will be made on the following Eligible Post Graduate candidates from Marketing and HR disciplines. Candidates are required to appear in UGC-NET examination (Conducted by CBSE) scheduled on 28th December 2014 in the respective disciplines. Only UGC-NET Exam Qualified candidates will be considered for shortlisting for further selection process comprising Group Discussion (GD) /Group Task (GT) and Personal Interview (PI) Shortlisted candidates also have to qualify through each stage of selection process i.e. GD/GT and PI successfully before being considered as suitable for selection Final merit will be prepared considering the scores obtained by the candidates in UGC-NET examination, GD/GT and PI.